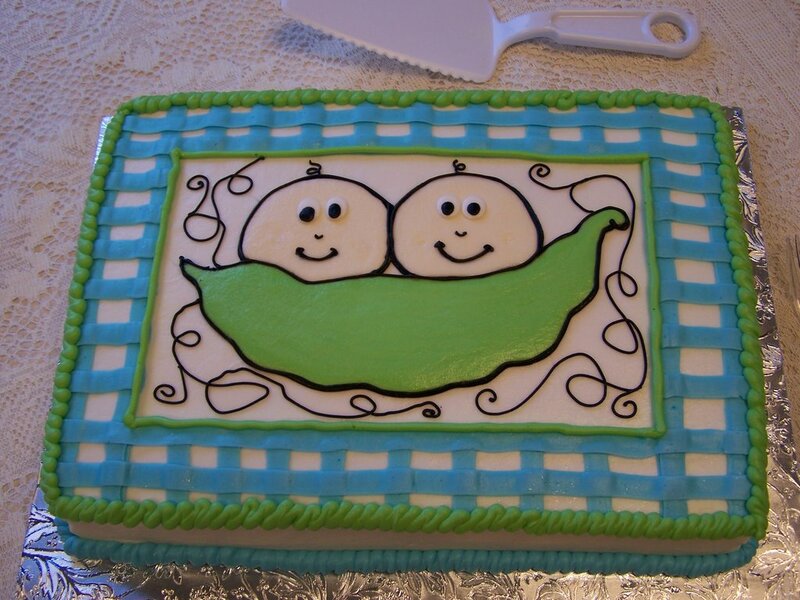 Yesterday I had my second Baby Shower. It was alot of fun as well. I feel like it is Christmastime! We got so many good gifts - lots of diapers and wipes!!! We are going to need them with 2 little bottoms :). We also got alot of other good stuff. I really appreciate all of the gifts everyone has given us! I also got to visit with people that I don't see very often, which is always nice to be able to catch up a bit. 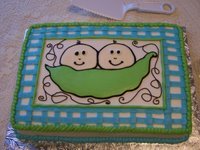 Below is a picture of the adorable cake!